Film Review: ‘The Legend of Hercules’!! Renny Harlin’s ‘The Legend of Hercules‘ is the first of two 3D Hercules movies coming out this year. After seeing this movie, it’s difficult to realize that Harlin actually directed films like ‘Cliffhanger‘ and ‘Die Hard 2‘, because whatever directing chops he had in the action genre were not available anywhere here. This PG-13 film tries to be ‘300‘ throughout its 90 minute run-time, but due to the terrible script, awful acting, poorly choreographed fight scenes, and laughable special effects, makes it seem more like a made-for-tv-movie on the Lifetime channel. I mean, if you’re going to have over 1,000 people die in your movie, you’re gonna need at least one drop of blood. However, that’s not the case with this flick as we don’t see any blood, let alone anyone getting stabbed or shot with an arrow, as the camera always seems to cut away at the last moment as it goes back and forth from slow-motion to normal speed. 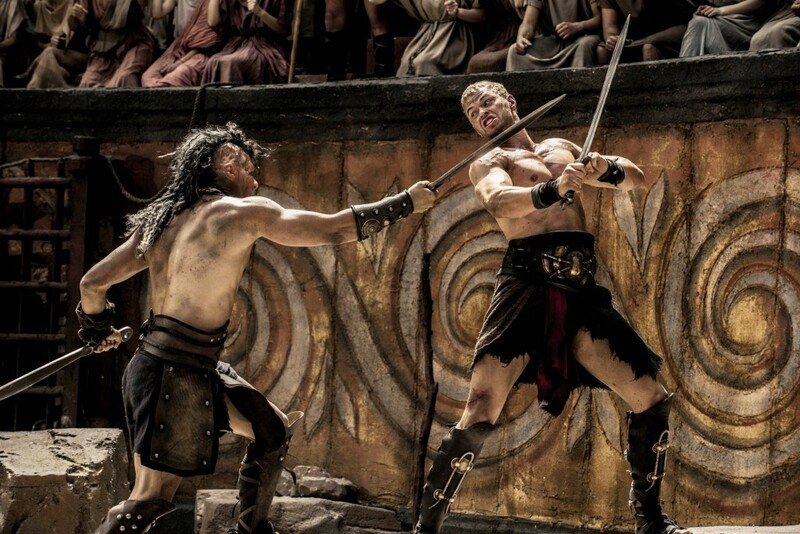 Nobody’s favorite vampire brother Kellan Lutz, plays Hercules and is as dry as they come. He has no charisma, charm, or wit about him. Sure he can yell at the sky and he has a chiseled body, but that’s as far as it goes. We catch Hercules in his 20th year of life as he is frolicking with his love interest in the water. Meanwhile, back at home, his older brother is a mean, jealous sibling who will one day take over his evil tyrant father’s throne and marry his brother’s girl.But before that can happen, Hercules must find out that he really is the son of the God of Gods, and therefor unstoppable. This doesn’t bode will for good movie making, because there is never a moment where we the audience feel like Hercules is in any real danger. Even when we see him sold into slavery and forced to fight six warriors at the same time in the vein of ‘Gladiator‘. And what would a Hercules movie be, if he didn’t find a giant lion with his bare hands and win? This is a huge let-down for everyone involved, as not one aspect of this film was executed well with the exception of the first two minutes where we see a long track shot of Spartans charging a kingdom. From there, it nosedives and never recovers. Just say “NO” to ‘The Legend of Hercules‘ and “YES” to anything else. This entry was posted on Friday, January 10th, 2014 at 1:09 am	and is filed under Film, News. You can follow any responses to this entry through the RSS 2.0 feed. You can skip to the end and leave a response. Pinging is currently not allowed. « Mark Romanek To Direct Casey Affleck in ‘The Boston Strangler’! !